SCOTT Loxley has always enjoyed his solitude. However, walking 15,000km non-stop with no support crew, dressed as a Star Wars Stormtrooper, has made him reconsider that. "It has been an unbelievable experience but it does get lonely," he said. "I'm sick of talking to myself." The father-of-three began his journey from Melbourne in November 2013 across to Tasmania, South Australia, and the West Australian coast with the aim to raise $100,000 for the Monash Children's Hospital. He has travelled through the harsh Australian outback, encountered crocs and snakes, and met plenty of fascinating people. 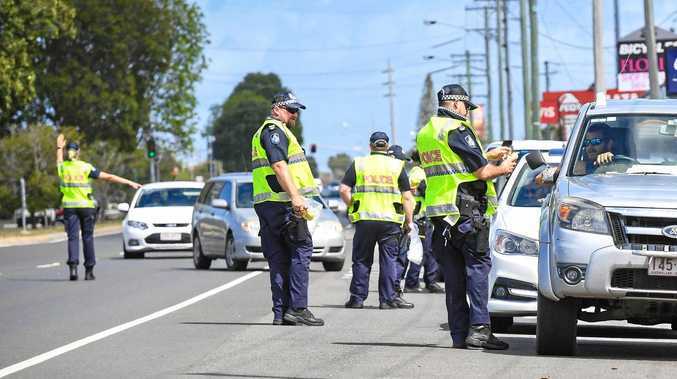 Mr Loxley arrived in Bundaberg yesterday, and told the NewsMail he couldn't wait to get the white armour off. "I get days when I feel down and I think nobody cares what I'm doing," he said. "Then someone can stop me and say 'hey I know you' and say the nicest things and it just fills you with happiness and you keep going." Mr Loxley is a member of the 501st Legion, an international not-for-profit Star Wars costuming organisation, which raises funds for charities. However, his once shiny, white Stormtrooper outfit appears to have been through more battles than any Galactic Empire soldier ever saw at the Battle of Endor. "It's basically just a shell," he said, laughing. "The suit has taken quite a beating and the sun makes it fragile and crack. "At one point there the best I could do in 45-degree heat is walk through the night and rest through the day." 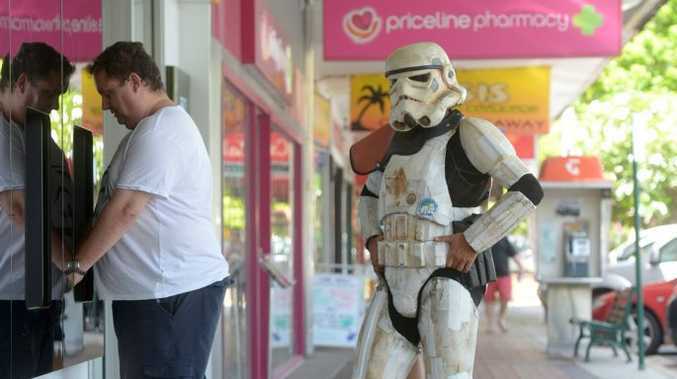 Loxley made international headlines last month when his Stormtrooper armour protected him from the bite of a deadly snake. "I just mentioned it because in Star Wars the Stormtrooper armour is pretty weak and here it had stopped a snake from biting me which, I found pretty funny," he said. Loxley has raised more than $50,000 and expected to reach the $100,000 total before July, when his journey ends. Loxley said the support of the public and media had been overwhelming. Albeit in a Stormtrooper outfit.